2019 ALDYB Umpire Training Course will not be offered on-line. Contact your District Director/UIC for more information. (B) Alabama will offer a centralized training program, administrated at the State level, to insure uniformity in the training. 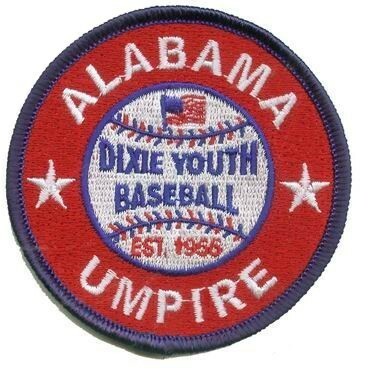 In order to provide a standardized curriculum and to insure that a complete roster of Dixie Youth trained umpires is made available to the State and District Directors for use at tournament time, the State Director shall appoint an Administrator of the UTP. (C) The Administrator will work under the direction of the State Director. The Administrator will work with the State Board Umpire Committee and the State Umpire In Chief to develop the curriculum for the UTP. (D) The Administrator will maintain the finances of the program and will submit an annual financial report to the State Board at the Fall Meeting. All expenses (including training materials, patches, rule books, travel, per diem, and so forth.) incurred by the UTP program will be paid from a training fee paid by the class attendees. The Administrator shall set the training fee schedule. Any excess funds accumulated by the UTP will be used to reduce future costs associated with administering the UTP. (E) Each District Director will select one (1) District Umpire Coordinator to conduct their Districts UTP workshops. To be eligible to conduct the training sessions on the district level, each District Director and their Coordinator must attend the pre-season meeting called by the Administrator each year to be instructed on how the UTP will be administered for that season. (F) The training classes must be completed prior to May 15th of each year.